A tyre for high performance vehicles. 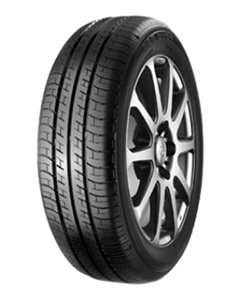 Boasting a high-level driving balance and excellent performance, the tyre aims to be an unbeaten performer on both dry and wet roads. Tread pattern ensures outstanding wet grip without compromising its excellent handling ability in dry conditions. Improved wet grip, rolling resistance and mileage, delivers subtle and precise road feedback for improved control. This acceleration of road feedback means that the driver can respond accordingly and experience a more exhilarating drive.